Would my wedding have been different post-Pinterest? Recently on social media I've been following a few people that have just got married, and it made me think about how different things were when I got married not that long ago in 2007. Although I'd been using the Internet for a decade, social media was barely off the ground. In fact our wedding was the reason that I signed up to Facebook, in order to view wedding photos that I had been tagged in. People did take photos and even videos on the day, but only a few were ever shared publicly. These days I wonder whether there is a lot more pressure to make sure that you have a photogenic wedding that will look good in the inevitable photos. You know that your guests are going to be sharing photos, and that many more people are going to see the details of your wedding than those that were actually there. I know that I would have made a better effort with the table settings if I'd thought that they might end up on Instagram. 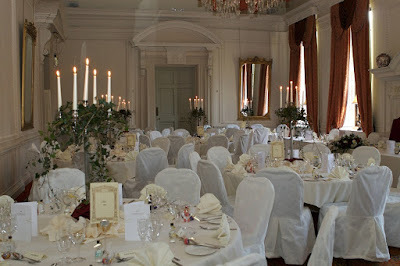 As it was, I just used the ones provided by the venue as their purpose was purely functional, and I think that the room did look lovely! There is so much more inspiration available now when it comes to planning a wedding. All I had was a stack of magazines that I picked up on Freecycle, and occasional visits to a mainly text based wedding forum. I saw very little visual inspiration. I think that if Pinterest had been around when I was wedding planning then things would have been very different. I'm quite a crafty person, and we saved money by making our own stationery - invitations, order of the day and thank you cards. But I didn't really know where to start - if I'd had a board of ideas to draw from I could have come up with something a lot more unique and spectacular! Even though I found planning our wedding very stressful and overwhelming, sometimes I do wish that I could have another go at it with a few new Pinterest inspired ideas! Should we have more strict screen time rules for the children? A few weeks ago I was browsing on social media somewhere and I came across a version of these screen time rules for children over the summer. Over the last few years I've seen lots of different versions copied and shared at this time of year. I showed it to the children to see what they thought and must admit that their reaction wasn't particularly positive. They seem not to have noticed that they usually have to do many of these things anyway - dress, breakfast, brush teeth and hair - before we do any kind of activity, whether it's in front of a screen or not. Apart from that, I must admit that we are very lax when it comes to enforcing any kind of screen time restrictions. I know that I just said they must be up and dressed and so on before starting the day, but when I say that I'm not counting the time that they spend on their iPads before breakfast when the husband and I are dozing before we have to get up! Until now I've always been happy that the children do use screens, but that they can entertain themselves without one. Even though there can be a bit of overlap - for example recently Harry has become a bit obsessed with learning to complete a Rubik's cube, but he needs to refer to videos on YouTube to help him learn the moves. Mia likes to write stories, but prefers to type on a computer as it's quicker. Recently though I've noticed that Mia in particular is struggling to entertain herself without a screen. She's quite capable of spending ages in her room with her teddies and other figures and will play complicated games by herself, but only when she takes herself off to do it. She's not very good at spontaneously entertaining herself if I decide that they need a screen break. She's always needed someone to play with and entertain her, and if Harry wants to play by himself or read a book then she gets cross, frustrated and whiny. It's very easy to offer her a screen in these situations, because the alternative is me sitting down with her to do an activity or play a game, and often I have something that I want or need to do. But I'm well aware that this is a lazy approach, and it's something that I need to avoid otherwise it will only get worse. I do try and spend time away from my phone around the children, and I'll read or work on a craft so that they can see examples of things to do that don't involve a screen. I think what I really need to do is come up with some kind of list of screen free activities that they could turn to - like reading, getting out a particular toy or an activity like Hama beads or play dough. I might need to start getting on with that now, ready for the holidays! 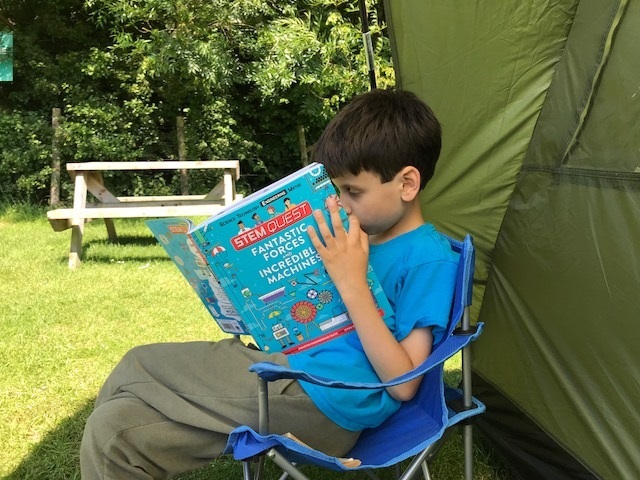 How do you manage screen time for your children over the summer holidays? I'd love any tips! A few weeks ago I was lucky enough to spend some time with my new baby nephew. He is very sweet, very tiny, and he looks a lot like baby Harry did, albeit with less hair. When he was just a few days old I spent an afternoon with him while his parents had some much needed rest. He was quite fractious, and so we spent a bit of time settling him and getting him off to sleep, then he slept for a good couple of hours. It brought back many memories of those first few days at home with baby Harry. Like all new parents we were completely shell shocked. I remember spending our first proper day at home sitting on the bed in our room, trying out the new nursing pillow and attempting to get to grips with breastfeeding. I didn't find breastfeeding easy and I've always felt that I was never able to feed him properly. I always blamed that for Harry being such a grumpy baby. He never seemed happy or content, and although he must have been hungry he never wanted to feed for very long or to particularly enjoy it. But to fair, even when I moved to bottles, first of expressed milk and then to formula, he never went for that either. Even when he was approaching a year old I'd watch as other babies guzzled down massive bottles of milk - I'd be lucky to get three ounces into him! I must admit that I found the baby days with Harry very difficult. He did make up for it - he was a lovely toddler and he's turned into a delightful child. Mia was an easier baby, and of course I found her easier because I had more of a clue what I was doing. So those hard baby days seem a long time ago now. But what surprised me was my reaction afterwards. When we had left the new parents to it, I felt very tearful, and the feeling lasted for a day or two, not at all something that I've experienced with other newborns in the family. I think that because it was a baby that looked a bit like Harry and behaved a lot like Harry it suddenly brought all those memories flooding back, and they weren't always good ones. Perhaps it was also a bit of relief that those days are behind us, I'm not sure that I could do it again! Creating a perfect life for Instagram? I've recently ventured into the world of Instagram stories. I'm loving watching them, and learning how to put together my own creative stories. I'm not one for talking directly to camera, so mine are snapshots of things that I've been up to and things that I've seen, generally accompanied by a few lines of text. I also love embellishing them with little graphics, pointy arrows and so on. If you want to check them out you can find me here - Jennifer Jain on Instagram. I've even made little buttons for highlighted categories! However, as I take my Instagram photos and set up my stories, I am very conscious of the fact that most of the time, as well as selecting what is on display I'm also choosing what to leave out. I might take a close up of a bowl of homegrown strawberries on the table, cropping out the mess on the counters behind. I take a carefully composed shot of my legs propped up in the sunshine with no wobbly bits on display, and my pictures of our vegetable patch certainly don't highlight the weeds. So although my Instagram shots are showing off my daily life, in truth it's not as honest as it might appear. I might not spend nearly as long curating my Instagram feed as other bloggers do, but I'm definitely thinking carefully about what I'm sharing. 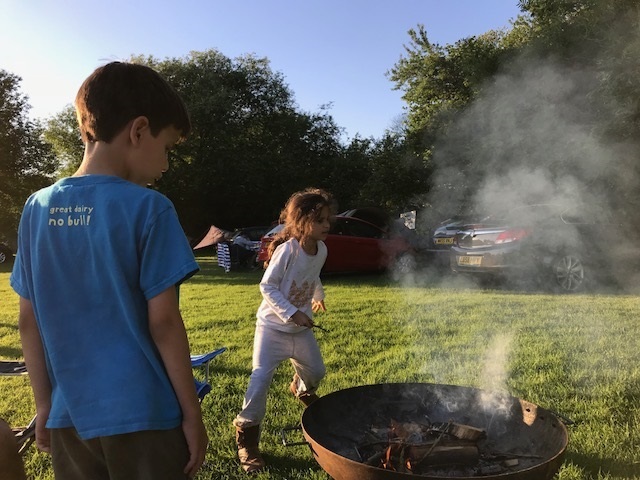 I usually post one photograph per day and it's showing a highlight - like a fun family moment shared around the firepit, not a family moment spent shouting at the children to get dressed and brush their teeth! But the truth is that I don't want to be sharing photos of the messy or miserable parts of life. I think that as long as you understand that people are only sharing their best moments on line - whether it's Instagram, or Facebook, or on their blog - people want to see happy photos. And I'll be honest, occasionally the prospect of sharing something on Instagram will get me to go and and do something different - to go for a wander by the beach, to pick up a craft project, or to spend a bit of extra time decorating a cake. And that's not a bad thing! The other day I was helping Harry with his maths homework. Luckily he's quite good at maths so I don't have to do much, it's more about supervising him to make sure it gets done. I myself used to be pretty good at maths, but when I look at his worksheets I must admit that my eyes slowly glaze over, and I realise that my brain usually no longer works well enough to understand what he's supposed to do. It doesn't help that he's been taught different techniques to get to the answer, and most of them make no sense to me - more than once I've had to ask my teacher friend to explain something! Nowadays, if I need to work out a sum I turn to the handy calculator right there on my phone. Remember when teachers said that we wouldn't always have a calculator with us?! But I'm also trying to demonstrate to the children how important it is to work on your maths. Even if you have a calculator it definitely helps to be able to make a ballpark guess in case you make a mistake when typing, and knowing times tables really does help in lots of every day situations. I'm often stood in the supermarket in front of the shelves trying to work out which is the best deal. 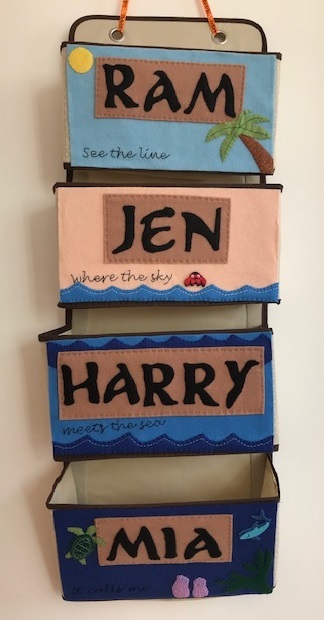 Sometimes there will be a price per unit printed on the shelf label, but I've found that it's not always correct and doesn't always take a special offer into consideration. So it's really useful to be able to work out a few sums and compare the prices. I also remember being taught interest and compound interest at school. Unfortunately I don't remember it ever being put into context - it would have been much better if they'd given us a real world example, for example showing how the interest adds up on a mortgage or a credit card over time. I only learned it for my GCSE, I never saw how it could be useful to me in the future. I do remember though a few years back when Ram and I were looking at pizza deals. We were trying to decide if it was better value to buy one large pizza or two smaller pizzas. We managed to remember the formula for calculating the area of a circle (A = π r2 of course) so between us we worked out the areas of the two different pizza combinations to see which would give us the most pizza for our money. I can't remember the result exactly, but I do remember that it wasn't the one we were expecting! So the maths that you learn at school can definitely be useful! A couple of weeks ago we went on our first camping trip of the year. We didn't venture as far as usual, just a few miles up the road to Washington Caravan and Camping Park. Previously we've always camped in the New Forest, but our reason for making the change was that this campsite allows fire pits. Ram has had a hankering for an open fire for some time now, and we thought that it would be fun to give it a go. 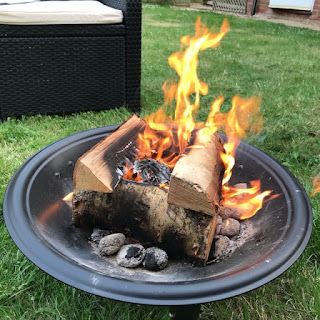 We were able to hire a fire pit at the campsite for £5 (plus refundable deposit) and we paid £7 for a net bag of wood. 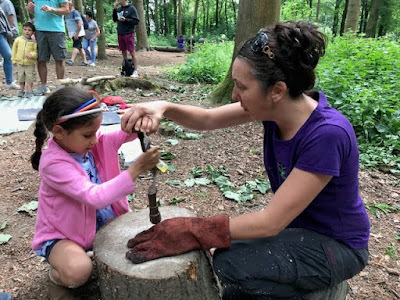 We all really loved it, we had no problems lighting it and keeping it alight, and the children loved running about hunting for sticks and leaves to throw on. We sat around it until it was dark, and wonderfully it really encouraged us to just sit around and chat as a family with no other distractions. There's something soothing about staring into the flames, and it's quite satisfying to watch the logs as they burn down. I noticed that both Ram and I were able to put our phones down and really spend time enjoying time together without feeling the need to turn to a screen every few minutes, which is definitely something that I like to encourage. So when we got back we went straight on to Amazon to look into getting one for the garden and found that they are quite reasonably priced. After a bit of research we opted for this one - La Hacienda Firepit with Grill (affiliate link). It's very light, has a cover, and the legs fold down for storage and transport. It also comes with a carry bag, and can be used as a barbecue although we've only used it for toasting marshmallows so far! We also bought a big bag of firewood (affiliate link) to start us off. 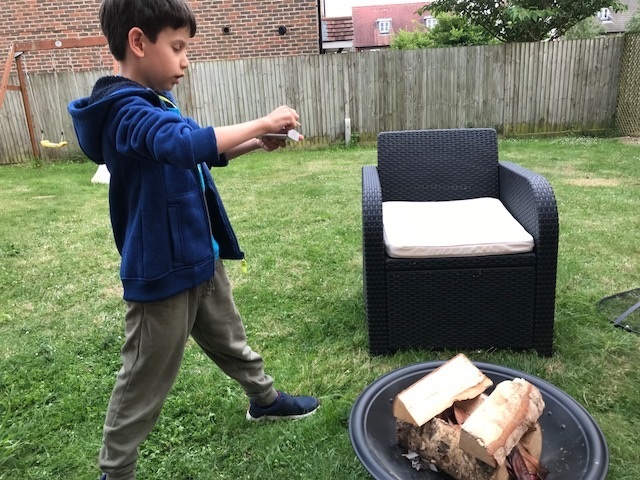 I was terrified of fire when I was younger, and I wouldn't light a match until I was in my late teens, so I was pleased to see that my timid Harry was more than happy to have a go at lighting the fire (under strict supervision of course!) He loved trying out different ways to get the fire to light (for reference, Amazon brown packaging paper is rubbish, newspaper is much better) and different ways to arrange the logs for optimum burning potential. We have a never ending supply of dead leaves from some bushes next to our driveway which provide a quick burst of flame when they are thrown on, and both children love toasting marshmallows for us. Mia is a bit of a fidget, but Harry loved sitting around and staring into the flames as much as Ram and I, and it was so nice to sit together talking. We used some leftover coals from our earlier barbecue and only four pieces of the firewood, so I'm hoping that the bag will last us for a few evenings. I'm also looking around the garden for things to burn - there are a few bits of empty trellis that I'm sure we don't need! 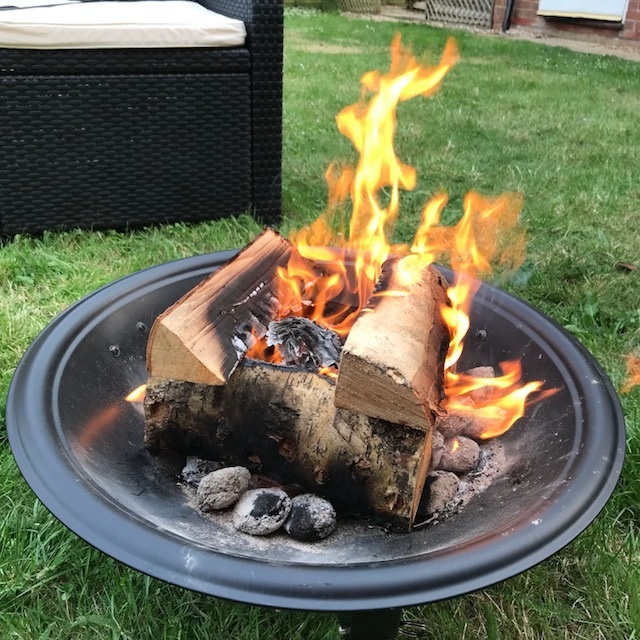 Over the summer holidays, when we don't have to worry so much about getting the children into bed at a reasonable hour, I'm hoping for some lovely warm and clear summer evenings of sitting around the fire pit and enjoying our garden! We are very lucky to have a nice big garden, and I'm often aware that we don't make as much of it as we should. It's fairly low maintenance, mainly grass with a couple of small patio areas, and we have a lovely vegetable patch with a raised bed. We also have a little summer house which is great for storing toys and easy for the children to access. Being on a new build estate it is a bit overlooked, although not from our immediate neighbours, so that sometimes makes me feel a bit self-conscious when I'm out there. Now that the children are that bit older and can generally be left to their own devices either inside or outside the house I'm determined to make the most of our outdoor space. I'm not much of a gardener and we don't have huge amounts of money to invest in anything fancy, so it's more about making the most of what we already have. A couple of years back we bought some outdoor furniture which was a really worthwhile purchase. 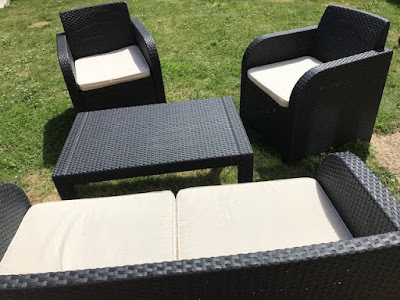 It wasn't expensive, it's just a small sofa and two seats made of plastic rattan with cushions and a small table for the middle. It's really comfy though and it's so nice to have it out there ready to use. We also bought a couple of sun loungers although I'm not really one for lying about in the sun - the children tend to use them as ramps for their cars and trucks! I think because the weather this year has been so lovely it's really motivated me to make the effort to spend more time in the garden. I work from home and so I've been trying to make the effort to sit outside for just a little bit every day when it's not raining. Whether that's to enjoy a morning cup of tea or hot chocolate or to catch up with some of my social media channels. Even if I feel that I have to justify to my unseen-yet-potentially-observing neighbours that I am "working" not just faffing about on my phone! We already enjoy lots of barbecues in the summer. We are vegetarian but we are gradually increasing our repertoire - we still include the veggie burgers and sausages but have upped our intake of halloumi and have been experimenting with different ingredients to fill wraps and pittas. We've also discovered toasted marshmallows served on chocolate digestive biscuits - I think I'm indulging more food-wise than I do over Christmas! The children like eating outside too and when they have finished we let them get down and play. I prefer them to be outside in the early evening when it's not so hot and they can burn off some energy before bed. I'm really hoping that this lovely weather lasts through the summer, especially into the school holidays as it makes it much easier for me to entertain the children during the day and I don't have to worry so much about bedtime if we want to enjoy some late sunshine! June 14th 2018 is International Bath Day! On June 14th each year we celebrate International Bath Day. Why June 14th? 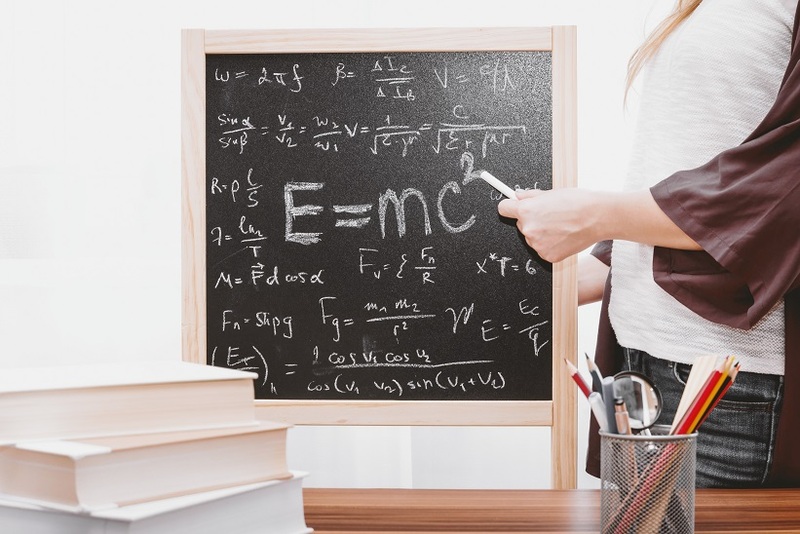 Legend has it that on the 14th June, the mathematician and scientist Archimedes was taking a bath when he was struck by the sudden realisation that it was possible to accurately measure the volume of an irregularly shaped object by submerging it in water. He was so excited by the discovery that he jumped out of the bath and yelled 'Eureka!' ('I have found it!) while running through the streets. International Bath Day is a day to remember that bath time can be fun, but can also promote amazing discoveries. 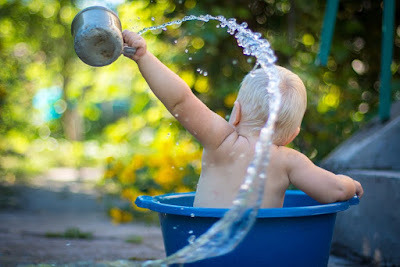 It's a great day to celebrate bath time with children! Mine have always particularly enjoyed being in the bath. I remember when they were little reading a quote somewhere about how if your children were grumpy you should put them in water and it's so true. It calms them down and relaxes them, and as well as being fun it's a great way for them to learn about the world around them. 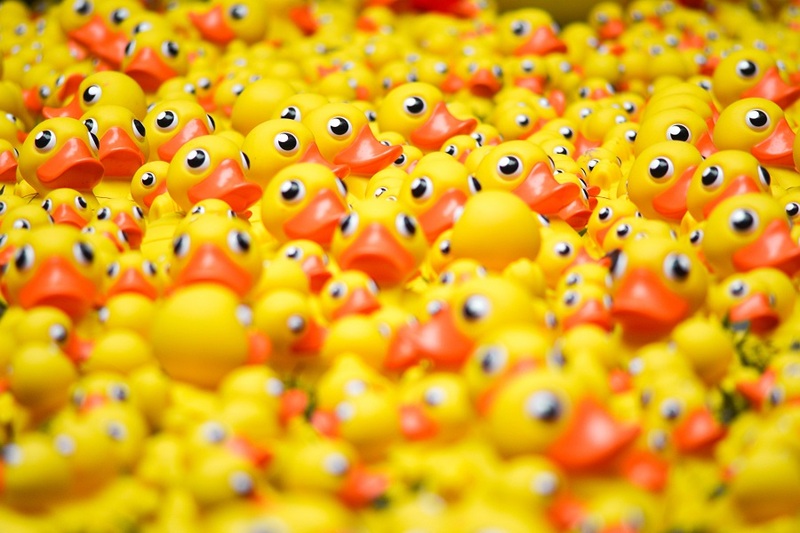 You don't need fancy bath toys to help children learn and discover. A recent survery conducted in the US for International Bath Day revealed that 84.3% of parents use plastic cups, bowls and other items around the house during bath time with their child and this is definitely me - they've always loved making 'soup' and pouring water from one container to another, and I save interesting plastic bottles and containers to add to their bath toy collection. It's a great way to teach cause and effect, help them to learn about the properties of water and how it can be used and manipulated. In fact 73% of the respondents in the survey believed that it's important to use bath time with children as a time to explore and discover. 92.6% of the parents surveyed said that bath time is a time to bond with your child and I definitely agree with that. Because you can't leave a child unsupervised in the bath it means that they have your full attention which is great for you both, and gives you the opportunity to interact with them without any distractions. I don't always save bath time for bed time either. 89.3% of parents said that they look forward to seeing their child relaxed and happy after bath time and that's very true for me. Sometimes if we don't have anywhere to go during the day and the children are starting to get a bit bored and crotchety they always lighten up at the thought of a bath because it calms them down and gives them something new to focus on. I'll definitely be making a special effort to celebrate International Bath Day today with my children and making the most of this time we have together before they get too old to want me in the bathroom with them! Do you enjoy bath time with your children? This is a collaborative post. You can see more information about the bathtime survey and view results here - American parents weigh in on the importance of bath time. 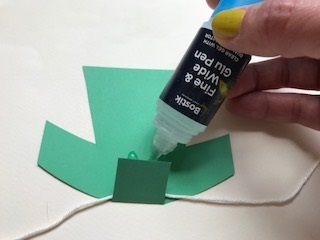 Recently I was sent a bottle of the new Gorilla Glue Clear (affiliate link) to use in my crafting. Gorilla Glue Clear is an easy to use adhesive that can be used for a range of craft projects,and it will stick a wide range of materials firmly - including glass, ceramics, metal, stone and wood. 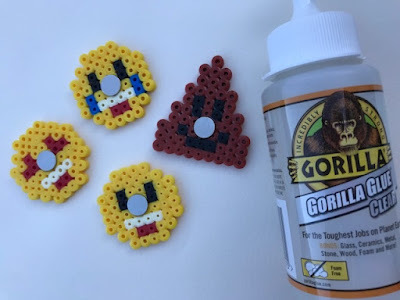 I decided that I would try it out on one of my favourite materials - Hama beads! I've tried to glue Hama bead projects before and I've not had a great deal of success, so I was interested to see how well the Gorilla Glue worked. I wasn't disappointed! 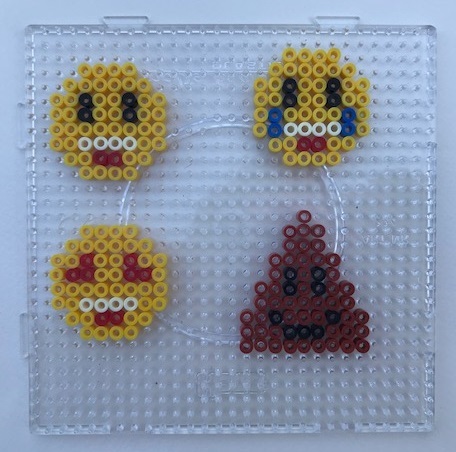 I decided to make some Hama bead emoji magnets. I started by coming up with some simple designs which I put together using the square pegboard. Then I ironed the beads on both sides. If you are new to Hama beads, you can find some tips for ironing Hama beads here. I glued my magnets to the back of each design using the Gorilla Glue. The magnets that I used are these ones - Very strong disc magnets (affiliate link) - they are small but very strong! 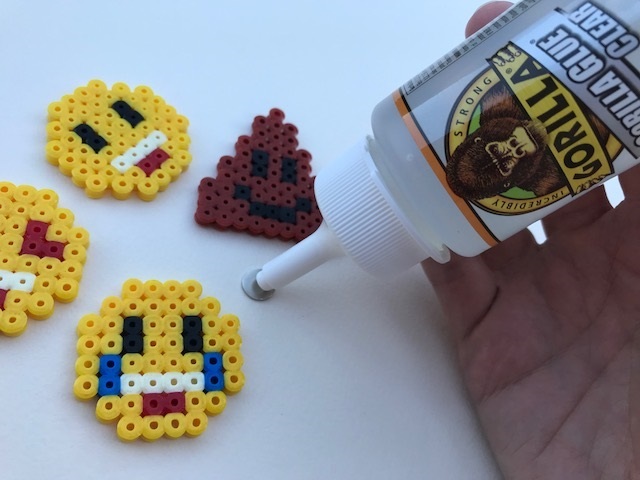 A tip here - apply the glue to the magnet rather than the Hama beads so that you don't lose any glue through the holes! You just need to put a small blob of glue on the magnet and press firmly to the back of the Hama beads. Allow to dry for 24 hours for a full cure. If you are gluing larger items it is recommended that you clamp pieces together for two hours. I found the Gorilla Glue really easy to apply, there's no smell, and no stickiness when it ended up on my fingers. The glue dries clear and the magnets really are stuck very firmly, they aren't going to be coming off! 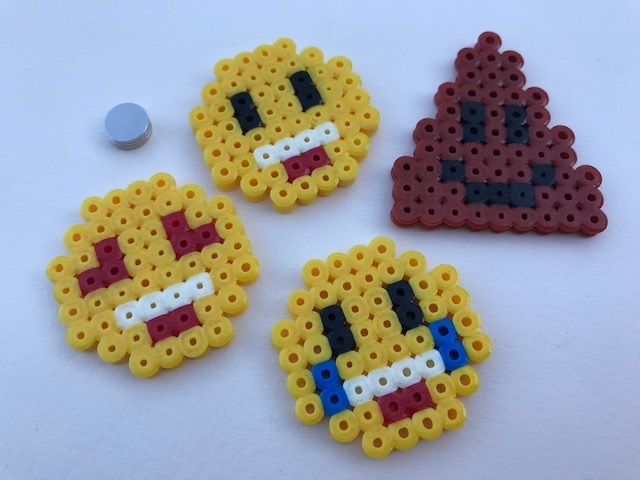 I'm really pleased that I've found an adhesive that works well with the Hama beads and now I'm a little bit addicted to making magnets! They'd be great for party bags or for children to give to their friends. I was sent a bottle of Gorilla Glue Clear to use in my crafting. This post contains Amazon affiliate links. 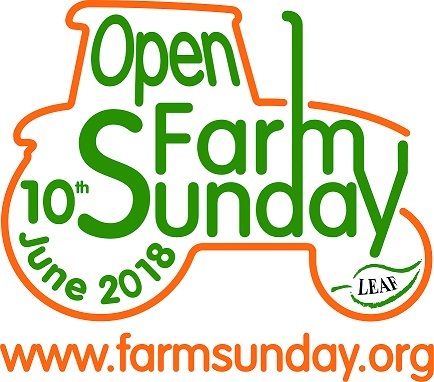 Open Farm Sunday is a yearly opportunity for farms across the UK to open their gates for free and welcome people to their farms to discover the world of farming and learn more about how our food is produced. 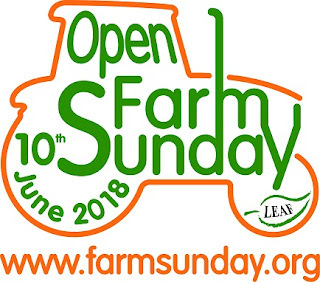 We always try to make the effort to visit one of our local farms, and after a lovely visit to Goodwood Home Farm for Open Farm Sunday back in 2014 we decided to return again this year. Goodwood Home Farm is part of the Goodwood Estate near Chichester in West Sussex, and is one of the largest lowland organic farms in the UK. The farm produces cheeses, beef, ales and lager, lamb, milk and pork. We started our visit with a tractor ride to the dairy, where we tried some of the delicious milk and cheeses and saw where the cows are milked. 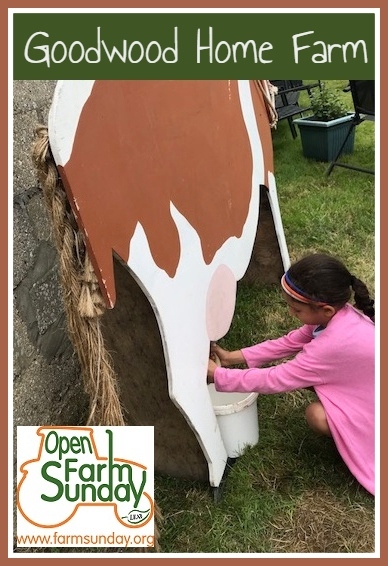 The children had a go at milking a (pretend!) cow, and we saw how butter is made from milk with the chance to sample some. Then we headed to Seeley Copse where there were a range of forest school activities for children. 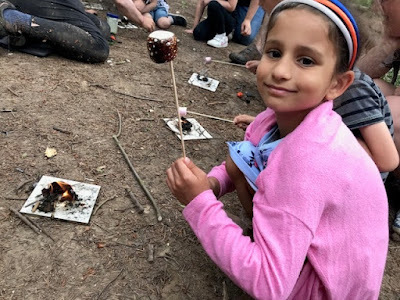 The favourite activity was building fires. The children were given a tile, some cotton wool smeared with Vaseline, and a flint and steel lighter. Harry was the only one that was able to get the lighter to work successfully without help, and he spent ages building up his little fire with sticks. Then they had fun toasting marshmallows! Mia also enjoyed using some tools to saw a circle of wood from a branch and drill a hole in th etop. Then she was able to decorate it and make it into a necklace to wear and remind her of the visit. We finished our day at the main part of the farm to see the sheep and lambs, pigs and calves. There was a sheep shearing demonstration which was fascinating to watch, and also some ladies showing how to use a spinning wheel. Outside the children had the chance to plant some seeds to bring home and grind some flour which they loved. 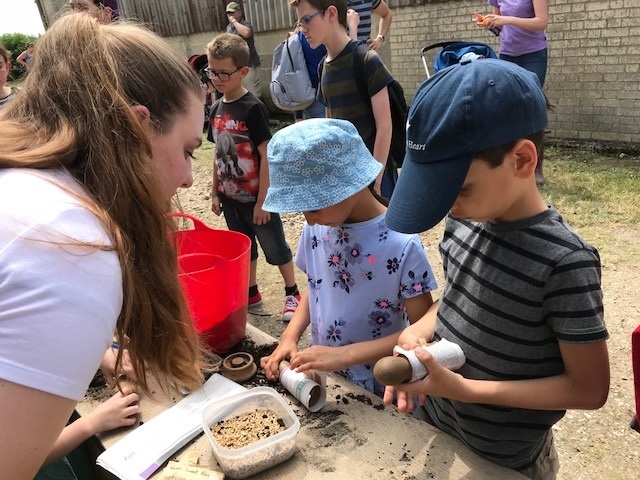 There was so much going on for children and adults of all ages and it was really well organised to make sure that there was plenty to keep everyone busy. We had a really lovely day! The World Cup starts next week, and it will definitely be dominating our household television for the next few weeks! 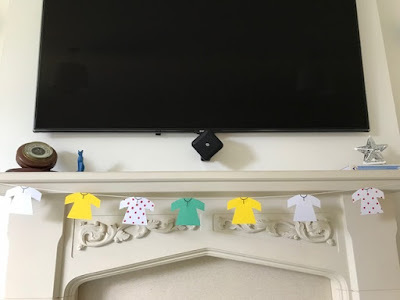 I really like to help the children get into the spirit of big sporting events, whether that's by decorating the house, doing some crafting, or enjoying other related activities. 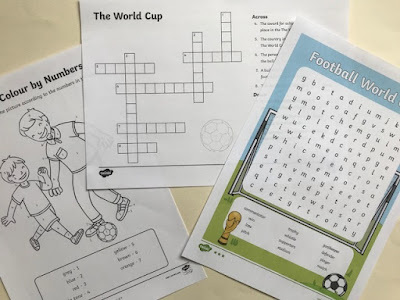 Today I'm sharing some of the resources that Twinkl have produced to help get children involved in the World Cup celebrations. 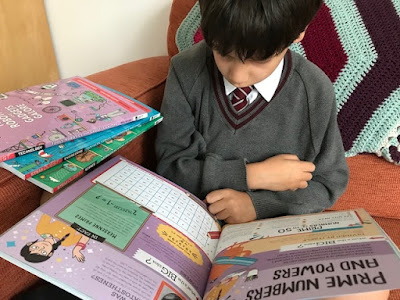 If you don't have a Twinkl subscription, in the second half of this post you can find links to some fab free resources that just require a free Twinkl account to download! 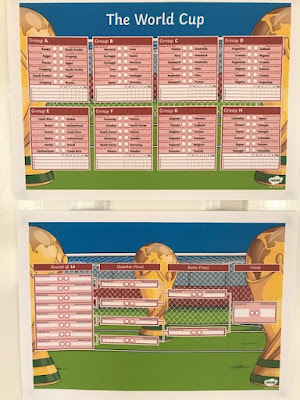 I started our World Cup planning by printing the World Cup Wall Chart (subscriber resource). This lovely colourful poster has spaces to write in the scores and then follow the teams through to the finals. I've stuck it on the door to the living room so we can keep it updated as we watch the games! If you want to up your World Cup decoration game, Twinkl have lots of different options. You can print some cheerful World Cup Bunting (subscriber resource) or even download a World Cup Display Pack (subscriber resource) which includes lettering, banner, posters, bunting and more - fantastic for decorating a classroom or role play area and perfect if you are hosting a World Cup themed party. I've also printed some World Cup Countries Cards (subscriber resource) which are a great way to learn about the flags of the different countries taking part. When it comes to football and World Cup related activities, Twinkl have plenty to choose from. Harry really loves the longer mystery games that Twinkl has produced with a variety of different themes. In the Football Maths Mystery Game (subscriber resource) which is aimed at KS2 children you need to work out who has sabotaged a team's football kits by narrowing down a long list of suspects using maths activities. There are lots of different clues to solve based around telling the time, working out the perimeter of shapes and more and it will keep him busy and entertained for ages. He also loves a crossword, so I've printed him the World Cup Crossword (subscriber resource) which will also teach him a few facts about football and the tournament. For Mia I've printed some Football Colour by Number sheets (subscriber resource) which she loves, and she also enjoys a word search so I found the World Cup Word Search (subscriber resource) which has three different levels so you can choose the most appropriate one for your child. These activities would all be great for the classroom to keep on hand when you need something to fill a few minutes. If you don't have a paid subscription, Twinkl also offer a number of great free printable resources, and you just need to create a free account to access them. Football World Cup bookmarks - These football themed bookmarks make a great gift - they'd be perfect for party bags if you are hosting a football themed party or event for children. Design a Football - This would be a fun activity for children to work on while watching the football. Football World Cup Players Colouring Pages - Another great activity to keep children entertained while the football is on and great to keep on hand for a football themed event. Football Word Mat - I love the Twinkl word mats, they are great for introducing new themed vocabulary to children and helping them to spell the more tricky words. Football Page Borders - A lovely way to display your child's football themed writing or artwork. I hope that you have lots of fun watching the World Cup with your children! I'm a Twinkl blogger and have been provided with a subscription in exchange for sharing the resources on my blog and social media. This year the Tour de France will take place from the 7th July until the 29th July 2018. The Tour de France is a cycle race with nearly 200 cyclists racing over 2000 miles all over France. There are 21 stages over the 23 days, and the tour involves 22 teams from all over the road with up to 9 riders in each. 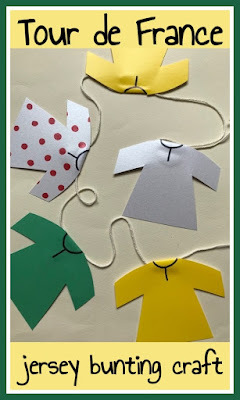 This year Bostik are one of the Official Partners of the Tour de France, and so with my Bostik craft box this month I'm sharing a Tour de France themed craft for children. 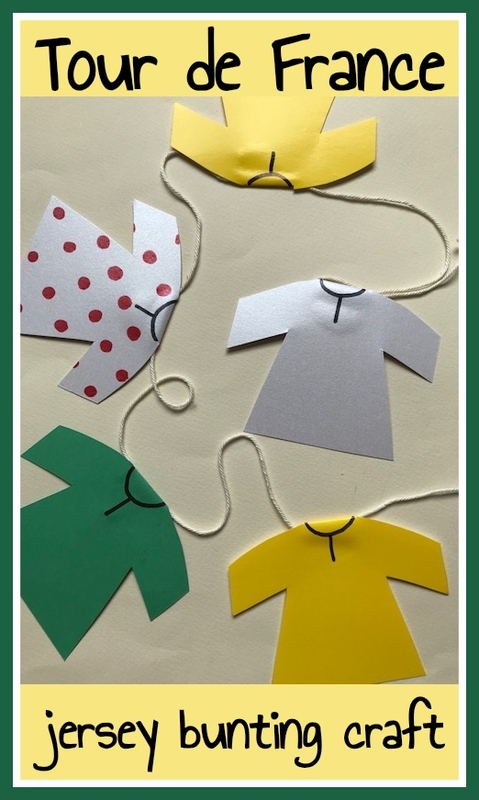 The scale of the event is a lot to take in for little ones so I thought I'd come up with a craft based on the different coloured jerseys that the cyclists wear and make some Tour de France jersey bunting. Looking for the different coloured tops is a fun thing to do while watching the race with children! 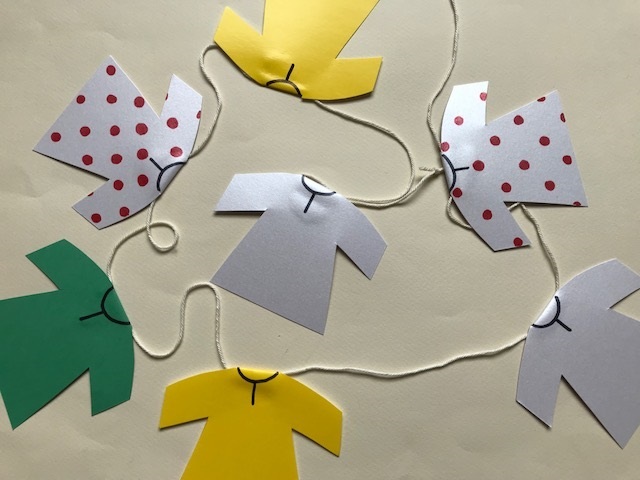 Green jersey - For the fastest riders - points are awarded at every stage to the first riders over the line, and the points vary depending on the day's course and in what place the rider finishes. 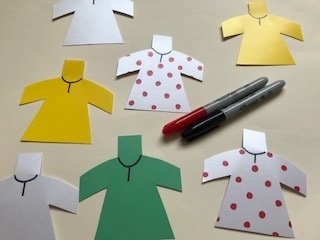 White jersey with red polka dots - The King of the Mountains jersey, awarded to the first rider to reach the top of a designated hill or mountain. Yellow jersey - The most famous coloured jersey, awarded to the overall leader of the race so far. 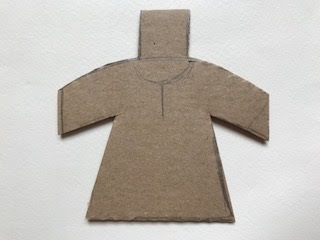 First create a template for the jersey using some thick card. My template is very simple. Make sure to add a tab at the top which you can use to attach the jersey to the bunting. 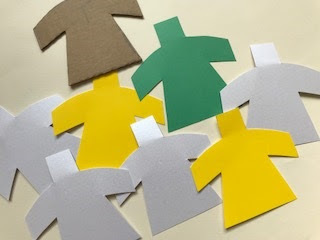 Use the template to cut out jerseys in the different colours. Use red and black coloured pens to add the red polka dots and other details to the jerseys. Fold over the tabs at the top of your jerseys. 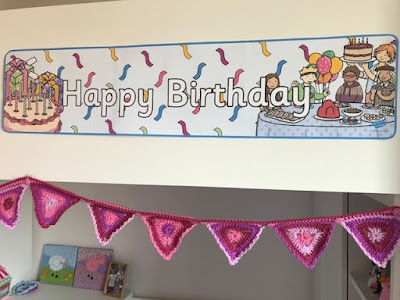 Measure out a piece of string that is the length you would like your bunting to be. Position the jerseys along the string and make sure that they are evenly spaced. 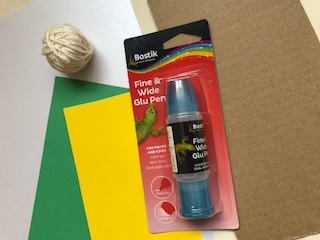 Then bend over the tab and secure in place using the Bostik Fine and Wide Glu Pen. The glue will make sure that they jersey is fixed firmly to the string. When the glue has dried you can hang the bunting in pride of place - ours is underneath the television so we can watch all the action! At the beginning of the year I wrote about my crafty plans for the year ahead, and I thought that it was time for an update. The last few months have been all about the cross stitching. I'm really enjoying cross stitch at the moment - I like that you can pick it up and put it down easily, you can carry it around the house or out and about with you, and it's very satisfying to watch a picture come together. 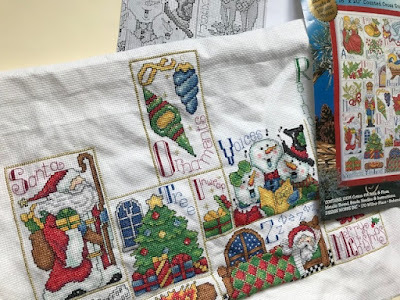 My main project is the Design Works Christmas ABC Sampler (affiliate link) which is made up of different festive pictures, one for each letter of the alphabet. Normally when I work on cross stitch I work by colour, but for this project I'm completing a box at a time, apart from the beads which I will add last. There is quite a lot of metallic thread which I've not used before and I'm finding it a bit of a pain to work with if I'm honest - it gets bunched up really easily and keeps slipping off the needle. I'm having to force myself to keep up with it as I go along! It's also quite complicated in parts with lots of colour changes, it's really keeping me on my toes. As much as I'd like to finish the sampler in time for Christmas I don't think that I'll manage it. I've only completed 10 of the 27 boxes (the last one says Merry Christmas) and along with the beading and framing I'll be cutting it fine to have it ready to display by the time we put up the decorations in early December. Hopefully by Christmas 2019 though! 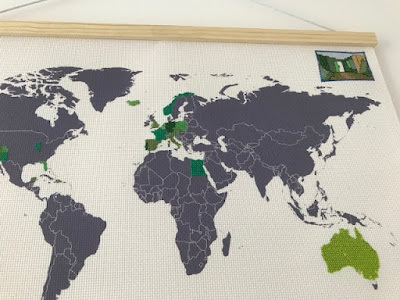 The other cross stitch project I've been working on is the Cross Stitch Map (affiliate link). I'll confess that I've not quite finished adding in all the countries I've visited yet - some of the states in the US and Canada are quite tricky to fit in so I've been putting it off. I have made a start on one of the pictures around the edge though. It's a representation of a Center Parcs cottage which I'm quite pleased with, and I've come up with a simple design for a lucky cat to represent our holidays to Hong Kong and Singapore which will be stitched underneath. I'm planning on having different shaped rectangles with pictures all the way around the edges and in the middle of the continents. They will all have blue borders in different shades, and then I'll fill in the gaps with blue patterns for the sea. It's going to take a while to get it all done though! There are also going to be large gaps in the map because for larger countries I'm only filling in the state that I've visited. So large sections of Russia and China for example will remain empty. I share updates of my crafty projects on Instagram if you want to see how I'm getting on, and I also co-host a monthly crafty linky - you can currently find us sharing our projects under #craftingismytherapy_june and I'd love to see what you've been up to -we share our favourite photos each month. I'm also venturing into Instagram stories to share some crafty updates. You can find me here - Jennifer Jain on Instagram. Over half-term Harry received four brilliant new books to review from Carlton Books. 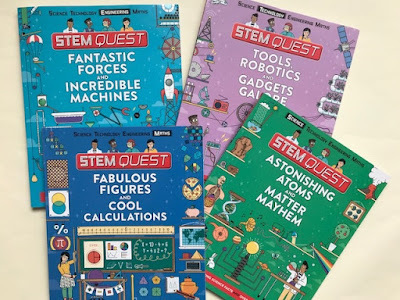 They are from the STEM Quest series and each one covers a different subject area - "Fantastic Forces and Incredible Machines" (Engineering), "Tools, Robotics and Gadgets Galore" (Technology), "Fabulous Figures and Cool Calculations" (Maths) and "Astonishing Atoms and Matter Mayhem" (Science). The books are aimed at children aged 7+, and each one is packed with information, fun facts and activities. Each double page spread covers a different topic, with an introduction, examples along with related games, experiments, crafts and other activities. Children can either read the books straight through or dip in and out, choosing the pages that appeal to them. Harry pounced on the books as soon as he saw them, and he has hardly put them down since. All the information is presented in an easy to understand and fun way that really draws in the child. 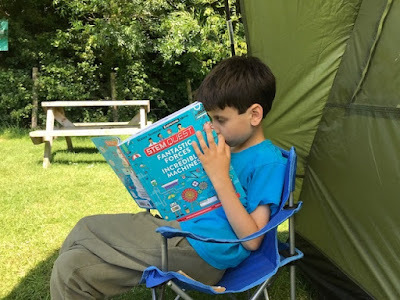 Harry has been sitting down with a pen and paper to work on the activities, and the books came along with us while visiting family and camping over the half term holiday. I really like the way that the books encourage you to interact with them and he has loved learning some new facts to impress me with. I really like how they have taught me lots of new things, like in the maths book I never knew that each number has a prime factor. I like how the pages are laid out and that they have a different person and robot in each book. They are quite easy to understand and they are very interesting. I'd definitely recommend these books for your little scientists! We received copies of these books to review. We've hosted various birthday parties over the last few years, mainly whole class affairs involving soft play as that seemed to be the done thing. 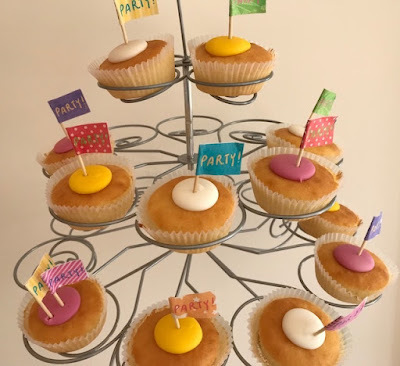 I'm hoping that we are coming to the end of these now, and the invitations have definitely tailed off as children start to opt for smaller parties with just their closest friends. This year when we asked Mia what she would like to do for her birthday, she immediately came back with - 'a sleepover!'. I wasn't sure at first, she's only 7 and she's never even been to or hosted a sleepover before. We chose a couple of her closest friends and I approached their Mums to see whether they thought their daughters would be up for it. Neither of them had either been to a sleepover either, but they all seemed very excited at the thought so we decided that we'd go for it. With a date set we started to plan activities. Mia didn't have much idea what a sleepover would involve so I made some suggestions. We arranged to watch a film and I came up with ideas for party food. I suggested that we have a go at making some bath bombs (we found a fab, simple recipe here - Red Ted Art bath bombs) and Harry offered to lead a slime making workshop. I purchased a gingerbread man decorating kit and we got out all the toys that she thought her friends would like. When it came to sleeping arrangements they all wanted to sleep in the same room. Mia has a loft bed, so I put a double airbed down on her floor for the other girls. 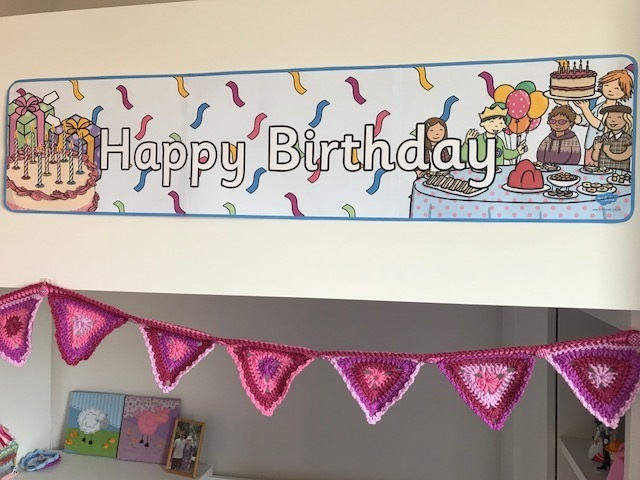 We decorated her room with all the birthday themed things that we could find, including this Happy Birthday banner from Twinkl in her bedroom along with a Fairytale themed Happy Birthday banner from Twinkl. for the kitchen. I also turned to Twinkl for some Birthday party toothpick flags to decorate some cupcakes. To my relief, the party all went very well. I was worried that one or other of the girls would back out at the last minute and I'd be driving them both home, but I managed to get them all settled down to sleep by 10 pm without any mishaps! They were all up at 5.30am the next morning but I'm used to an early start and at least they all played happily until it was time to go home. Mia seemed to be pleased with how it all went and they all appeared to have fun - now I'm wondering if it will become a yearly event! 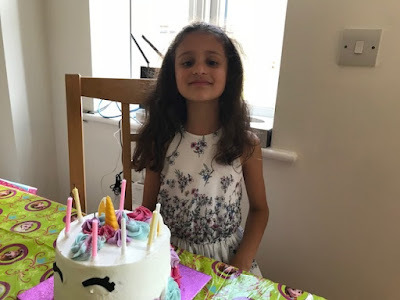 I just can't believe that my youngest is 7 years old already, she's growing up so quickly! I have been provided with a Twinkl subscription in exchange for sharing the resources on my blog and social media.